Porta Mallorquina - your leading real estate agent in Cala Mesquida! You are looking for a property for sale in Cala Mesquida, or have a question regarding our real estate offers in Mallorca? You were not able to find the ideal finca in Cala Mesquida? Then please call us on +34 971 698 242, or send us an email to info@portamallorquina.com. Our Porta Mallorquina real estate agents in Cala Mesquida will be pleased to asist and will help you find your dream property. Cala Mesquida is one of the most original and exclusive landscapes of the Majorcan coast which has been preserved until today. Here you still can find a marvellous sandy beach with crystal clear and turquoise water and the scenery shaped by dunes and pine trees - a really Mediterranean paradise in the northeast of the island. 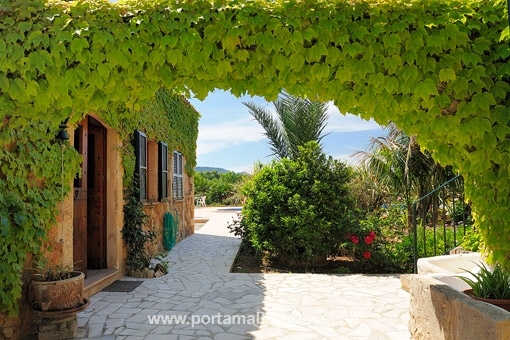 you are reading: Cala Mesquida: Property for sale in Cala Mesquida by Porta Mallorquina Real Estate · Porta Mallorquina Real Estate Rating 4,8/5 by 200 testimonials.